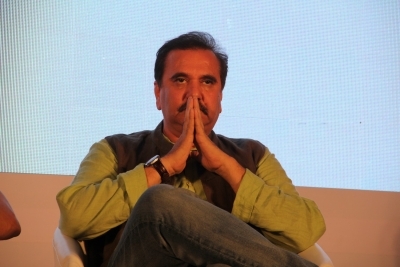 Mumbai, Oct 23 (IANS) Celebrities including Shabana Azmi, Shekhar Kapoor, Feroz Abbas Khan are on board as jury members to judge a film contest which involves movies on the theme of ending violence against women and girls. The digital film contest ran from May 30 to September 15, and the stars have been roped in to find the winner from the entries. The films are made by college students. The contest is a part of ‘Bas Ab Bahut Ho Gaya’, a campaign to mobilise youth, build awareness and change attitudes on violence, especially against women and girls. The campaign has been led by Population Foundation of India, in association with Farhan Akht’r’s initiative MARD, and Feroz Abbas Khan, read a statement. Apart from the jury selection, the campaign will also a ‘Viewers’ Choice’ poll for a special prize. “It takes courage to present a sensitive issue after viewing it through the lenses. All the participants have done a fair job and as a jury member, it w’sn’t easy to narrow down the list to three best films. But all the jury members have used their expertise and made this tough decision. We cannot wait to bring the winning films for audience viewi”g,” said Feroz Abbas Khan.